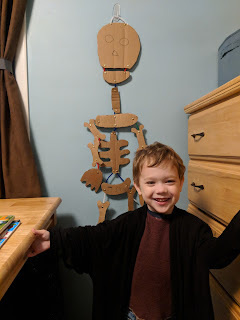 We finally assembled the cardboard skeleton we'd cut out earlier. He was pretty excited to get it hung up in his bedroom. This kid lives for Halloween!